The Comb Headbands are Back! 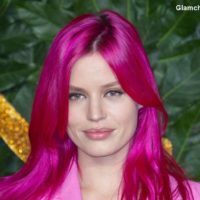 Hair Trends 2018. Hey girls, remember the comb headbands we used to wear in the early 90s? We loved how this simple accessory offered some cool texture to our hair by creating stark hair parts, making us look effortlessly cool and stylish. The versatile comb headband adapts perfectly to any hair texture – Curly or straight creating a romantic and refined look. Time and again the comb headbands have made a comeback and it has always been a favorite hair accessory amongst many celebrities as well. 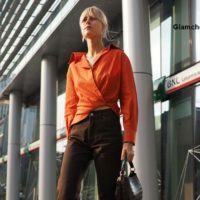 After having seen it last at the runway of Helmut Lang in 2014, the trend has made a major comeback yet again! 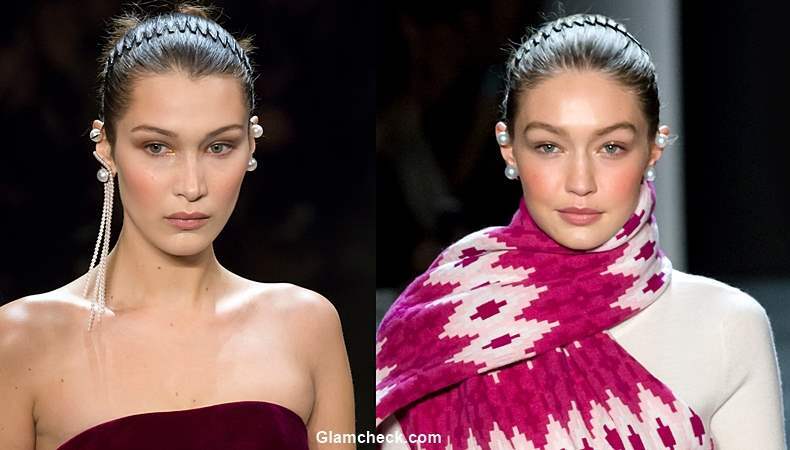 Supermodel sisters Bella Hadid and Gigi Hadid stole the show when they walked down the ramp wearing these comb headbands at the Prabal Gurung Fall Winter 2018 show during NYFW. Hairstylist Anthony Turner and Claudio Lazo created a youthful, modern, organic look by first blow-drying the hair. To give the slick look, they combed Extra Volume Mousse through it with a paddle brush. The hairstylist then gathered the hair into a low ponytail, made a figure eight-knot and pinned it up. Finally, the hairstylist pushed back a comb headband until it stopped, just past the ear and viola! 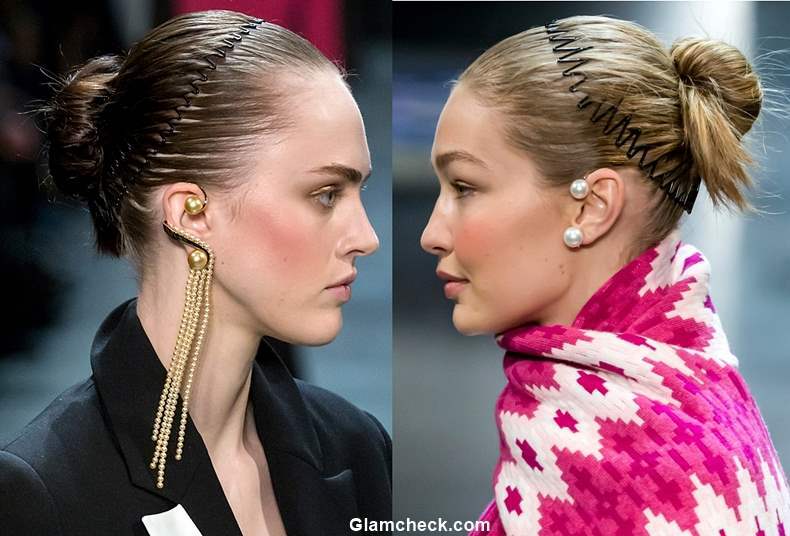 The comb headbands used at Prabal Gurung show are not fancy but very basic ones, easily available at any local drug store. We just love this throwback which is cool and practical at the same time. 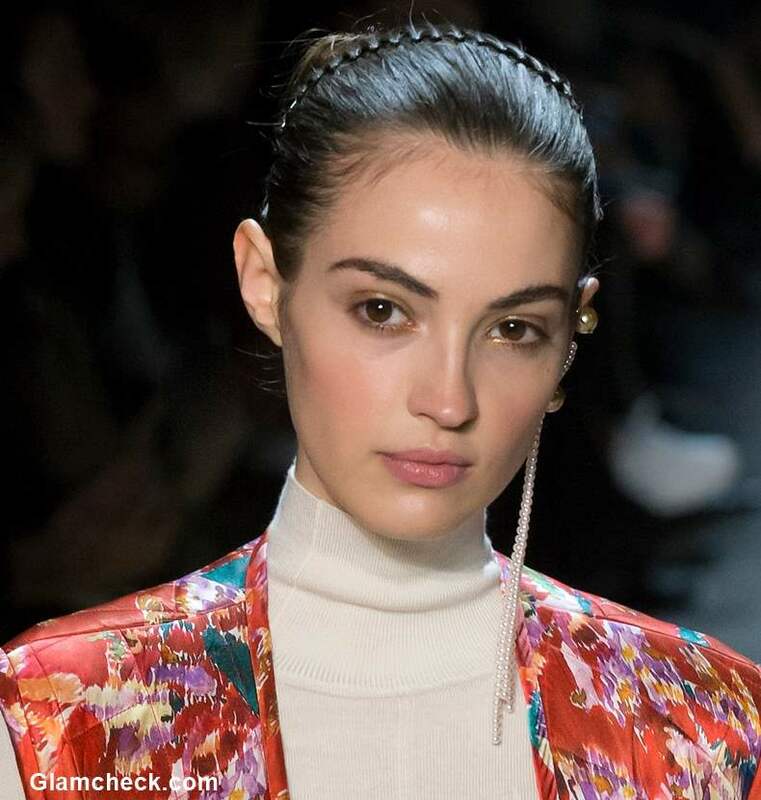 Inspired from the Mosuo, a matriarchal tribe outside of Tibet, makeup artist Diane Kendal gave a subtle twist to the natural look with Golden eyeshadow, glittery lips and coral blush. This preppy, college girl makeup look goes very well with the 90s inspired hairdo. 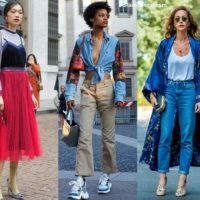 While the hair and makeup was the talk of the town, one cannot afford to miss the statement ear cuffs that kissed the cheeks of the gorgeous models while they walked down the ramp. The multiple strings of pearls, only added feminine charm to the collection. 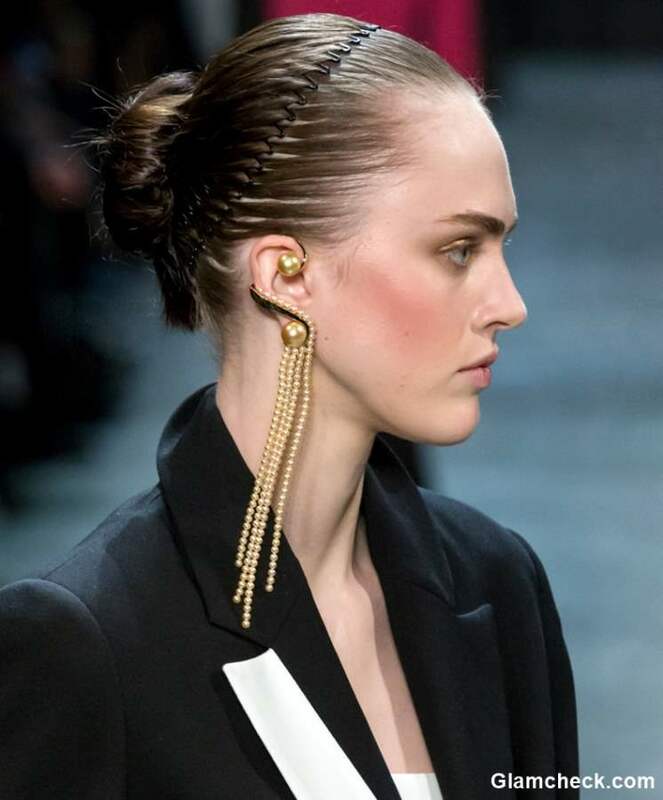 The slicked back bun hairstyle seen at Prabal Gurung show is one of the most effortless style that can be achieve within minutes. First step is to blow dry the hair and comb it properly to get rid of any tangles or knots. To slick down the hairline, wet your hair with either water or apply a mousse. Comb back your hair and gather it in a low ponytail. Twist the ponytail into a knot and pin it in place. Finally, push back a comb headband to create the multiple stark hair parts and there you go! Opt for this hairstyle on days you are not willing to spend too much time styling your hair. It’s a great look that can be worn at the college, at your workplace or on a casual day out with friends. 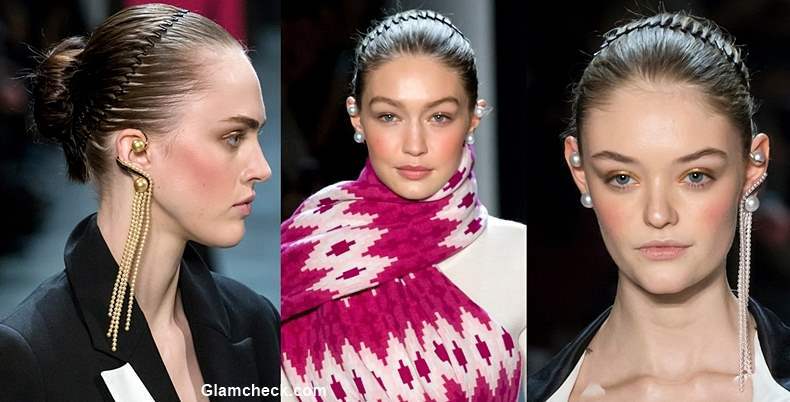 We are sure millions of girls are gonna embrace the comb headbands the coming season. Can’t wait to see different new hairstyles around this cool hair accessory.